Imagine for a moment that all Americans believed in some kind of divine, at least in Jefferson’s “nature and nature’s god” from the Declaration of Independence. Imagine now that all of us here also really believed what we say unkindly to those in trouble: everything happens for a reason. How might such a set of universally held beliefs affect our regional politics? I believe that when disaster strikes, especially when that disaster defies explanation, the rational mind shuts down and looks for paranormal interventions, whether we mean it to or not. As a Christian, I have no trouble believing in the divine, but I also know that I have an irrational side that does not square with my theology, that believes that when a tornado warning goes off and a funnel cloud appears in the distance, no mater how much I know about meteorology, that the rotating winds are there as God’s thumb to squash me like a bug. No amount of schooling, no amount of storm-tracking by satellite, can prevent me from holding this view. There is part of me that cannot reconcile my immediate anxiety to a clear-headed rational thought. During the Middle Ages, people made no pretense of rational thought in such circumstances, however resigned they were to meeting their Maker. In Palermo, during a horrible outbreak of plague, people wrote of seeing the plague appear in the form of a large black dog dressed as a bishop, cutting people down with a broadsword. In Sweden, the plague was sighted as beautiful maiden who waved a deadly saffron-colored scarf into one window or another in a village, causing all inside to die. In the absence of any germ theory or immunology, people did what they could in their terror to understand the emotionally incomprehensible. During the Middle Ages, people frightened by the plague hallucinated phenomena that could allow them to understand how one person could die while another lived. Let’s be honest. For all our Doppler 4000 and our antibiotics, we’re no better. We respond to disaster viscerally, and because individually we are largely unable to control events larger than ourselves, we look to God. It has often enough been said that there are no atheists in foxholes. Allow me to submit to you that in America, whatever our pretense of intellectualism or agnostic yogic meditative practices, there are no atheists in America when a disaster hits us, and consequently, we form ideas about the theodicy — the “how could God let this happen here” — of such events. As some events are more likely to happen in the North than in the South, in the East than in the West, regional concepts of the divine, not the church divine, the scriptural divine, but the irrational-brain-invented notions of god and that idolatrously constructed god’s mysterious ways, that influence how we understand commonweal and political responsibilities in the face of catastrophe. In industrialized cities, wealthier people understood that letting the poor die of yellow fever without care endangered their own health. In Philadelphia and in Chicago, it became clear that a system of government that could prevent and extinguish fires would be useful. It was clear that if Mrs. O’Leary’s cow kicked a lantern in a shed, the whole town would suffer. In New York and Boston, it became clear that some form of sanitation and public health system would be better than not having one. While the pilgrims believed in an Abrahamic covanential sort of responsibility toward one’s neighbor, particularly towards one’s pious and hard-working neighbor who fell ill, in New York, the motives for this were different. There, it became clear to the very wealthy that sometimes even when one leaves town during an outbreak of yellow fever, one might catch it anyway from one’s butler or one’s laundress. Hence, having health clinics for the poor might secure the health of the wealthy and powerful. Either way, in major American cities, we are all our brothers’ keepers even today. We understand that an attack from unseen forces on one of us is likely a harbinger of trouble for us. We show up to liberate people from airport jail during a fascist Muslim ban. We dig through the rubble of the World Trade Center. We make condoms free during the AIDS epidemic. We make sure every building has a fire escape on it, and if need be, a water tank as well, so that Mrs. O’Leary’s cow can’t harm anyone but itself. This is not what disaster teaches the irrational mind of Americans outside of sardine-packed cities, particularly not in the South, where tornadoes and hurricanes are the most common mass tragedies. A storm hits one place and misses another — are we spared catastrophe by our innate virtue? Take last night. My husband and I hunkered down in New Orleans with our two dogs and more starchy food and alcohol in the house than we commonly have, cases of bottled water, and flashlights. We removed outdoor hanging plants from hooks and packed up lawn furniture. Why? Because Hurricane Nate was headed for us. Why? Because Hurricane Nate was supposed to land on us as a category two disaster. The mayor Mitch Landrieu wisely told us to stay indoors after seven pm. He told people repeatedly not to go surfing on Lake Catherine — apparently a hurricane jackass dare. He called for a mandatory evacuation of three neighborhoods on the far-eastern side of town. We were battened-down. We were prepared. And then, at the last possible minute, the storm turned Eastward, away from us. We were spared from all disaster. I saw a rainbow in the sky. I knew we were fine. Here is the insidious lesson that might be learned from the irrational-brain-god about this event, one that might serve to explain a lack of general compassion on the part of some for the problems of others, particularly those poorer than we are: We might learn that this god spared us because we are somehow better than our neighbors in his eyes. We hear the occasional crack-pot preacher claiming Houston got flooded because it elected a lesbian mayor, that New Orleans has too much decadence in it, and that caused Katrina. I’m not really talking about those losers who say this. I think that the frightened human mind cannot quite help momentarily thinking that the disaster that narrowly missed us and hit another is a confirmation that we are just in the hands of a proactive and highly insightful deity who knew that the person whose house got clobbered by a tornado either had fantastic insurance and would get a much better house or was sinful in ways that we weren’t, and that’s why our house was spared. The lesson here is the opposite of the lesson learned in the industrial city. In a rural community, Mrs. O’Leary’s cow kicks a lantern in a shed, and the shed burns down, maybe her cows get loose, and her son gets scolded for sleeping in the shed drunk with a lantern that could catch the hay on fire. The person who got sick from yellow fever whose nearest neighbor lived five miles away probably didn’t spread the disease. They won’t even know he’s dead until he’s half decomposed. The irrational brain divine tells us to believe in ourselves, in our own virtues, in such circumstances. While this is not scriptural — Jesus says to us that rain falls on both the wicked and the just — it is an almost inescapable human reflex, one that is destructive to our Republic. There are cynical politicians in Washington bought up by a few wealthy and greedy megalomaniacs who are willing to demand help for Katrina and withhold it for Sandy because it won’t directly benefit their districts and will cost their patrons more in taxes. They are what we call down here common trash scalawags, and I am not worried about them because I believe (despite recent political rallies) they are few in number. I worry, though, about people who refuse to learn either from the Bible, the Torah, the Koran, or rational and secular humanism that they ARE their brothers’ keeper, that if one of us burns down, we all do, that a flood in Biloxi, is a flood in New Orleans, is a flood in Houston, is a flood in Miami, is a flood in San Juan. How many of us are willing, relieved that we were spared, to share the burdens of others at a distance? I am sitting writing this now in my un-flooded living room, my pit bull asleep on the love seat, one of the hands typing this intermittently reaching into a bag of starchy snack food that was supposed to sustain me in the event of disaster that never arrived. I feel comfortable. Two hundred miles away, there are sixty thousand people without power. That’s where the storm hit. Even as I send disaster relief, there is a small, barely conscious part of myself that wants to congratulate me for my moral hygiene and clever foresight that I was not the victim here. I need to smash that idol — right after I eat this bag of puffy starch sticks. America is a strange place to eat. More than one third of us are obese, and nearly one seventh of us go hungry at least part of the time. We have plenty of food, but we don’t share it equitably. We overspend on processed foods that contribute to the diseases that kill us — heart disease, diabetes, and cancer, and we underspend on the foods that would benefit us most — greens, beans, and fish. We value convenience, and with some reason. In order for families to economically survive, most households have both parents working outside the home, so the days of a cook making dinner over a slow flame over hours where the pot was periodically stirred, those days are over for most of us. Therefore, McDonald’s serving us McMuffins all day sounds like a mighty benefit, as lots of us don’t quite get around to breakfast before dinner time. We yearn for home cooking but are rarely home long enough to cook. At odds with this culture of convenience is a strange cult of food, one that creates an audience for cooking as a form of entertainment. We have all-day networks devoted to watching other people cook, and the people who watch are not all watching to imitate. The tradition of American food preparation is that anonymous women did most of the work. Wives prepare Thanksgiving, and the thanks for two days’ cooking goes to God mostly, rarely to the women who burned their wrists taking the turkey out of the oven. Where households could afford to do so, servants were relegated to the kitchen, as kitchens before air-conditioning were miserable places to spend a day during the summer. Big Southern households built kitchens in separate buildings from the big house because the heat was unbearable and with kitchens being the most likely source of a house fire, it made sense to put the kitchen in a free-standing structure that could burn to the ground without burning the home as a whole. The people who sweated, and kneaded, who plucked feathers and gutted fish, those people were not celebrated. In the traditions of the South, they went unpaid, as they were slaves or wives. While wives were not slaves (exactly), they were not free, enfranchised, or able to choose other occupations than that of home maker for the majority of the history of this country and for the entirety of the history of the Confederacy. So why are we watching now the cooks on television who make food into a spectator sport? We seem to have begun the celebration and idealization of cooking as a thing to watch with the industrialization of our food production. After the Second World War, women who had worked for a few years in factory jobs were corralled back into the kitchen to prepare elaborate meals for G.I. husbands who would take their place as industry captains. Meals went from something to grab on the fly to a proof of good housekeeping and feminine skill. 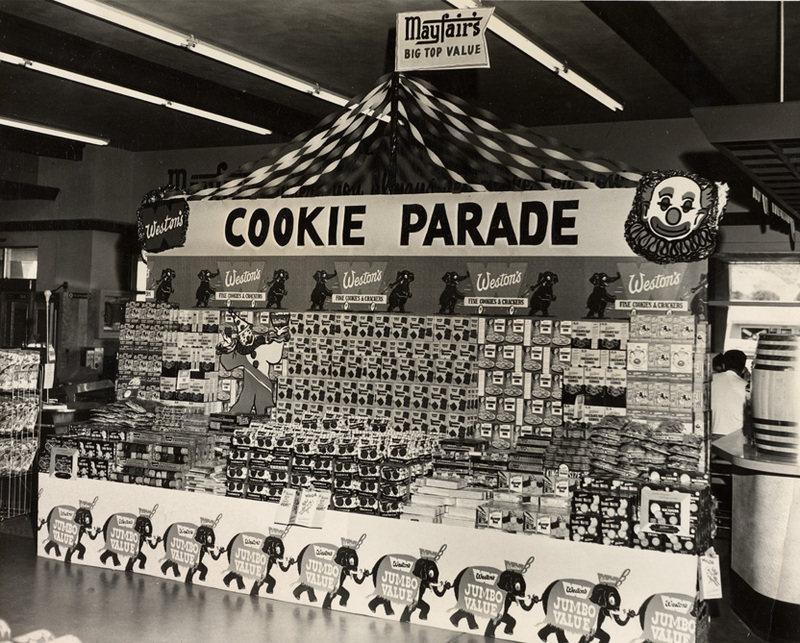 Companies selling industrial food products — margarine, corn syrup, and cheese in a can — started having contests for housewives to compete like athletes, and this to promote the factory of food they ran. County fairs had pie contests before, but national contests with television spots for winners — that was a 1950s idea and part of the myth of the happy housewife that would be rendered joyful by soap called Joy, by soup in a can, by floor wax that made a shine in which she could see her happy face reflected. Suddenly, it became possible to make cooking aspirational, part of the American dream. A perfect pie, with meringue peaks just browned lightly — this was now a national source of comfort. With the exit of women from the kitchen and into the workplace, food changed again.We became increasingly dependent on prepackaged goods, on restaurants that mass-produce food, and we became less healthy than before. We stuffed ourselves mindlessly in front of the television with our potato chips rather than consider eating a discrete episode where family members looked each other in the eye, where fresh ingredients comprised the whole of the meal, where the meal ended, and we did not eat again until the next meal. We became a nation of lonely snackers overly engaged in video games and sports events where we neither lifted a ball nor even donned a jacket to venture out of our living rooms to sit on a bleacher and cheer. We became spectators instead of participants in the leisure of our own lives. So why do so many of us slouch on couches watching the cooking shows and then drive to eat Big Macs? I attribute it to a longing for authenticity. When the unsung women used to cook us meals the slow way, we took them for granted, but we felt loved. The food smelled like something. Our lives felt like we needed to be awake for them. We talked like connected people to one another around the table. The food nourished us. We were fed. We don’t know when dinner is any more. Nobody has the time to make dinner, not a real dinner. Thirty-minute meals are possible, but they require somebody to invest time in a premeditated trip to the supermarket. No distractions had better arise, no pets had better run away not to be found until the next day No family arguments had better explode, and no demands for additional overtime from overbearing bosses had better get voiced for all of us to make it to the table, for the family cook to get to her post chopping the carrots an hour before meal time. This problem of authentic food and family time is particularly poignant to Southerners. 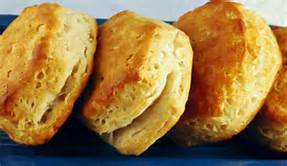 Momma’s biscuits are a source of nourishment as important as mother’s milk. To eat grandma’s tea cakes is a partial living out of Southern identity. Food served at Southern funerals is a reason for the bereaved to stay alive. The home-cooking of Southern tradition is a way of Southerners knowing precisely who they are. But mothers in Atlanta have no more time than mothers in Chicago to cook a four-course meal by sundown. Women in the South are working just like women in the North. Men in the South have not learned to cook any better (with the exception of the honing of seasonal barbecue skills) than men in the North have. Daughters no longer learn with the same frequency the skills requisite in the heirloom recipes of their family heritage. Those foods are usually all advised too fatty by the doctors, anyway, and who has the time? One of my friends in the South has a traditional recipe of a thin-layered cake of multiple tiers, and it takes a good day to make it. She is a neurobiologist. She can either concentrate on cake-baking, or she can try to find the root of a cure for ALS. To her, the cake is a pleasure, but it is a distraction. She feeds her experiments’ fruit flies, rather than the initiates at any Junior League. That she can make the family cake, which includes home-made fondant (!) is impressive, but it is hardly the most impressive thing she does — she can clone insect brain cells, something her grandmomma never did. Authenticity and tradition often get trumped in today’s South by forward-thinking and long work hours in double-income homes. So today, if one goes to Lynchburg, Tennessee, home of the makers of Jack Daniels — and in typing these words, I feel compelled to salute sour mash whiskey and its salutory benefits to those who are ailing from heart-ache and underexposure to tear-jerk Country music ballads — I sigh deeply and try to remember what I was saying. What was it? Oh! If one goes to Lynchburg, Tennessee, one can visit a historically preserved boarding house, something which used to be a fixture in the Southern Landscape before the advent of post-war motel chains. Miss Mary Bo Bo’s boarding house in Lynchburg was particularly known for its good food. She received guests, it seems mostly traveling salesmen (and during the Twenties, bootleg distributors), and she served old-school Southern fare — baked apples, creamy macaroni and cheese, turnip greens wilted in pork fat, fried chicken of the kind that rarely gets made in private homes any more, and a delightful variety of pies. A visit to Mary BoBo’s boarding house means one’s small family sits at a big table with others, and at each table for each meal, a hostess explains like a museum curator the significance of each dish within Southern cooking. 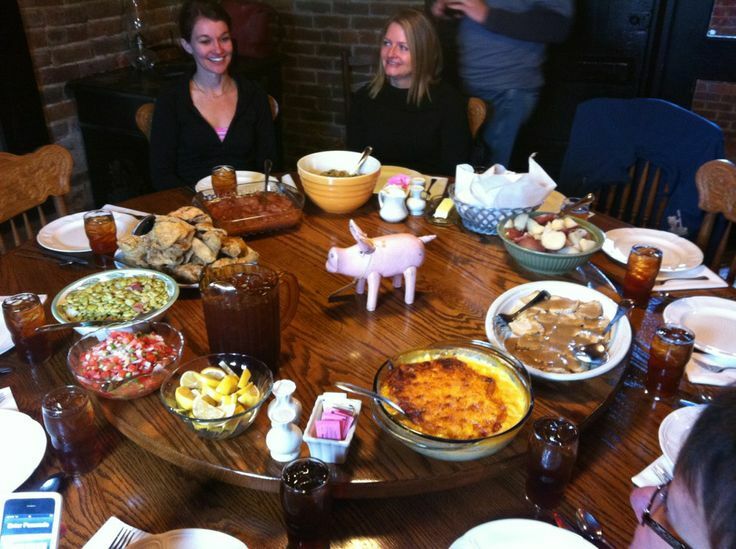 Come to Lynchburg, Tennessee for a curated traditional meal, a historical reenactment of Southern lunch. Today, the house (which is run by the Jack Daniels corporation in conjunction with its distillery tours) attracts many people from outside the South, and the strategy of this table d’hote is essentially to stage a reenactment of the Southern meal, not unlike a historic reenactment of the Siege of Vicksburg. Nobody down South eats a Mary BoBo-sized meal more than once or twice a month, and even then, nobody cooks all the dishes for such a meal except on the rarest of occasions. The Mary BoBo meal is still eaten after funerals and at church socials, and those events are potluck — each cook does a fraction of the work. Perhaps on an occasion as grand as a family engagement one might see such a meal served. Alas, today’s Southern eaters can neither produce nor consume this level of Southern authenticity alone. Paul Prudhomme is gone to his celestial spice rack. Paula Deen, bless her heart (and I mean that in the most Southern of ways), is on a low-carb diabetic diet if she doesn’t want to risk foot amputation and blindness (apart from blindness to her own racism). The rest of the South is hurrying to get home, but when we get there, the kids are playing Minecraft and whine if you ask them to set the table, even though they will be punished for it. The husband got home and fed the dogs, gave the kids each a bag of raisins and a juice box, and he is on Facebook. The wife lugged in the bag of groceries, set a slab of margarine to bubble in the pan, and she is flouring up the pork chops as fast as she can. She wants to catch her breath — work was hard today, but now the baby has started to cry, and she runs, yells at her husband to watch that nothing burns, and picks up the littlest one to see if he has shoved one of his brother’s toys up his nose again. Who has time to cook? Who can look a loved one in the eye without wanting to cry? Where is grandmomma’s multi-layered cake, momma’s biscuit, daddy’s barbecued ribs? Is this our current tear-jerk ballad, and do we sing the lyrics of the song together? Or do we sing it in rooms with closed doors, pretending it’s all fine? Where is Miss Mary Bobo, the uncurated one who fed smiling bootleggers and excluded black visitors from her table? We miss her, not for her personality or her moral compass, but for her roasts, the kind that comforted the diner, that said that all was well whether it really was or not. We are sentimental and crave comfort food. Kardashians are tramping around on television. The Internet announces apocalypses, scriptural and zombie. We feel empty inside. What’s for dinner? What should we really eat for dinner? What will really satisfy us, North and South? Breakfast gets no respect — the Rodney Dangerfield of meals. However, it is possibly the food that American cuisine does the best. Can breakfast be an art form, handled by skilled hands with cast iron skillets? 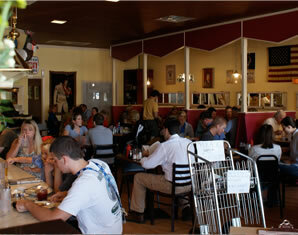 If they serve Breakfast in Heaven, I think they use the recipes of Big Bad Breakfast of Oxford, Mississippi. Big Bad Breakfast is part of a food empire that is surely the best in the state of Mississippi — it includes a restaurant featured in Garden and Gun — Yes, you Yankees! They have a magazine down here that sits on people’s coffee tables in the place where your copy of New York Magazine sits. It is entitled Garden and Gun, sometimes with a photo of guns on the front cover: Know it. Deal with it. Shudder, if you must — called The City Grocery. The who’s who — or should I say “who-all is who”? — of Mississippi comes to eat there, and boy, do they know their stuff. Anyway, Big Bad Breakfast has a chef, Jason Nicholas, with a Fine Arts degree from Ole Miss. They hired, for a place that makes breakfast as its chief fare, a charcutier. His last name is Lovejoy. If bacon is a joy, and if ham is a love, well — this guy knows what to do with it and how to do it. They make grits that are better than anything I’ve ever eaten for breakfast. The secret seems to be a bunch of butter and garlic. And honey, the wait staff — they are a fantasy. Each is cuter than the last, really, and girls, given that this is Mississippi, there’s actually a pretty good chance that at least some of them are straight. Despite pretentious 1980s rock lyrics to a song called “Breakfast in America,” people don’t really consider breakfast a tourist attraction. This is a great pity, for if it were, Breakfast in America would be worthy the way a Sacher Torte is in Vienna. I say, all the air-kissing jet-setters should decide that Breakfast is the new little black dress and come air-kiss my grits here, or rather kiss the grits of this marvelous place. Tapas was hip. So was sushi, long ago. I declare a vogue for buttermilk biscuits fresh out of the oven, handed over by some guy who looks like he stepped out of a teen heart-throb movie, while Roy Orbison plays softly in the background and you drink your freshly squeezed orange juice. Come and get it, America!